RST Hexa Chest Protector. 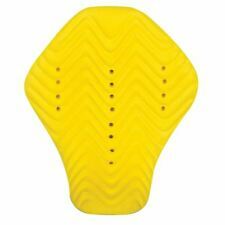 Using this unique honeycombe shaped material, you can get a more anatomical fit ensuring a comfortable ride. CE Approved Motorcycle Motorbike Armour Hip/Knee Biker Motocross Protection Pads. Quality Kneed Pad pair & Hip Pad pair. CE Approved. 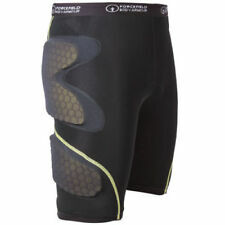 RST Contour Plus Hip Armour - CE Level 1. CE level 1 certified hip protection inserts specifically designed for RST jeans. Lightweight and fits perfectly into RST jeans. Bigger and look better protection wise than the hip armour in my blade 2 jeans but a bit too large. Perfect for my RST jacket. Appears to be good quality at a fair price but I hope I never have to put it to the test! Does the job, perfect fit in RST leather jacket, exactly what I wanted. Bought the back protector to fit the R16 jacket, it fits perfect in the pocket and you don't know it's there when riding. DAINESE G2 WAVE. compatible with alpinestars dainese rukka f800 lot motocross cross moto motard veste blouson motorradjacke jacke goretex XXL Large 54 56 58 GR.56 GR.54 green lane gerike geriche gorotex sheltex. CE Approved Chest plate deflectors. Each shoulder strap has 2 holes either end, so as can be secured to give more shoulder protection. CE Approved Shoulder / Elbow / pads. Our mutual. dedication. in almost all new jackets and trousers of the 2014 Richa Collection. to find the ideal safety-comfort balance, evolved in the most promising Richa Collection ever. All new jackets and pants which carry the D3O icon on their product page, are fully equipped with a D3O protector kit. Insert inside jeans hip and knee protection. A PAIR OF KNEE PADS AND A PAIR OF HIP PAIR. 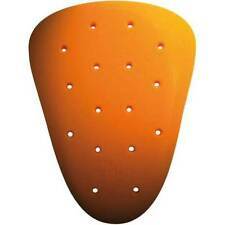 Alpinestars Nucleon KR-C Chest Protector.